Blueberry Haze is a 60/40 Sativa dominant hybrid and an all-time favorite among marijuana enthusiasts. It is a sweet tasting hybrid with moderately high THC levels of over 18%. This strain is known to be demanding when it comes to the effort required to cultivate, but it rewards growers with highly effective results. The smell of Blueberry Haze is up there with the very best. 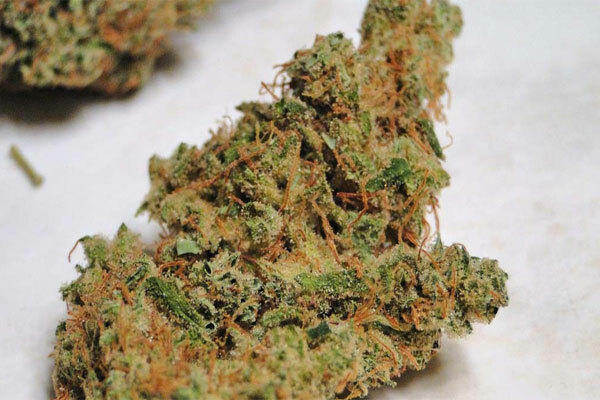 It has a cool and smooth smoke that many say is reminiscent of Jack Herer, with a taste that is similar to Blue Dream. Why do Patients Use Blueberry Haze? Apart from its pain relieving properties, Blueberry Haze is a proven cure for hyperactivity, stress, nausea, anxiety, and lack of concentration. It gives a feeling of happiness to the patient and leaves them in a euphoric state, without affecting their senses. It is not an ideal strain for insomnia or for relieving the pain of any kind. But it is the ideal strain to use in the middle of the day or for those suffering from stress or bi-polar. Some people find that this is the perfect strain before going to work for its uplifting and therapeutic benefits. It’s a cross of Blueberry and Haze. Blueberry Haze has a rating of 8.7 on the stoned meter. Prone to molds and pests. Needs a lot of nutrients.